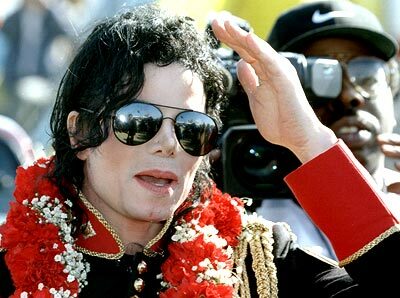 King of Pop Michael Jackson will be buried on Thursday evening. The pop legend will be laid to rest at Holly Terrace Grand Mausoleum in Glendale Forest Lawn Memorial Park, five miles from Hollywood. The private funeral ceremony is scheduled to start at 7pm, reports the Mirror. However, his fans will not get to view it, as cameras will be banned from the 45-minute service limited to close friends and family. The late singer's friend Diana Ross and Motown label founder Berry Gordy will be present apart from the family. Aretha Franklin will attend too as she'll sing at the graveside. Jackson's coffin will be encased in thick concrete to protect it from grave robbers. His estate, controlled by two former advisers, will bear the expenses of the funeral ceremony. Meanwhile, prosecutors have amended Jackson'e death certificate to call it a homicide. The wording is he died from "intravenous injection by another".